And I've been slacking on my video posts...sorry family! Here is one of him in action earlier today. He's got a funny new crawl going on. 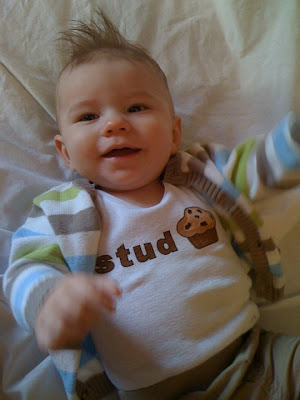 Love the "Stud Muffin" shirt. How cute is that?! 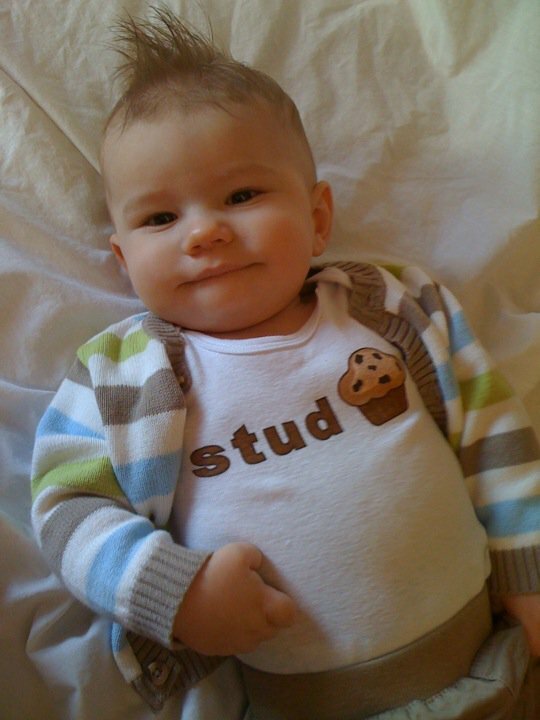 That little stud is too much! He is such a cute little guy!!! He's so big!!! And so cute!! I love it! Such a "sweet crawl"...and by "sweet crawl" I mean "watch out sister-Manny is going to be walking soon"!!! He is so advanced! Really, you can just tell by his awesome shirt and semi-smirk that says "Yeah, I know you know I'm that cute, but I don't want you to know that I know YOU think I'm that cute". He is precious, absolutely beautiful! 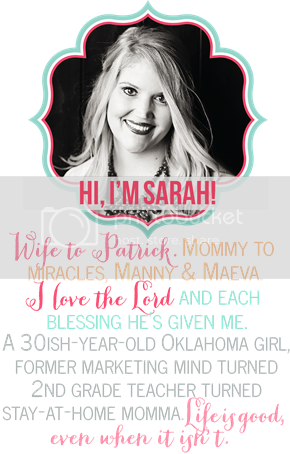 So happy for you my long lost friend!